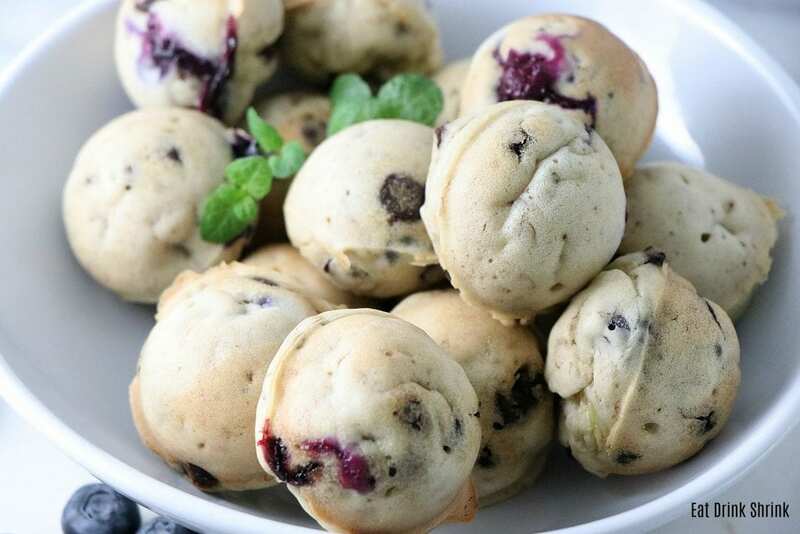 Vegan Dark Chocolate Blueberry Pancake Bites - Eat. Drink. Shrink. I realized recently that I don’t do a lot of pancake recipes. I find them not worth sharing due to their simplicity, so they have to be fun and modern! I’m currently on a mission to develop concepts that break the break the mold of “traditional pancakes” lol. 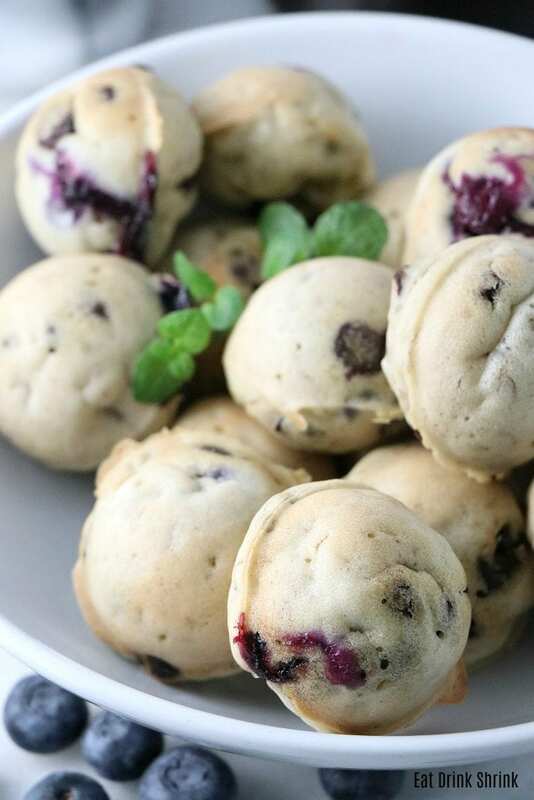 That being said, I was brainstorming for the perf innovative pancake concept and the vegan Dark Chocolate Blueberry Pancake Bites were born! 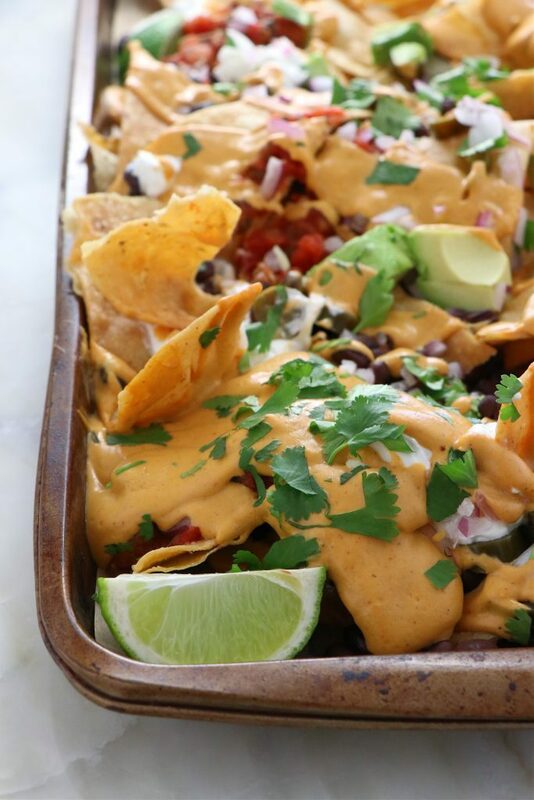 What I love about this recipe is, everything! It’s easy, affordable, fun, modern, has minimal ingredients, less messy, great for entertaining, can be paired with whatever filling you like, kid friendly, has aesthetic appeal, perf for any season, and just make breakfast more fun! 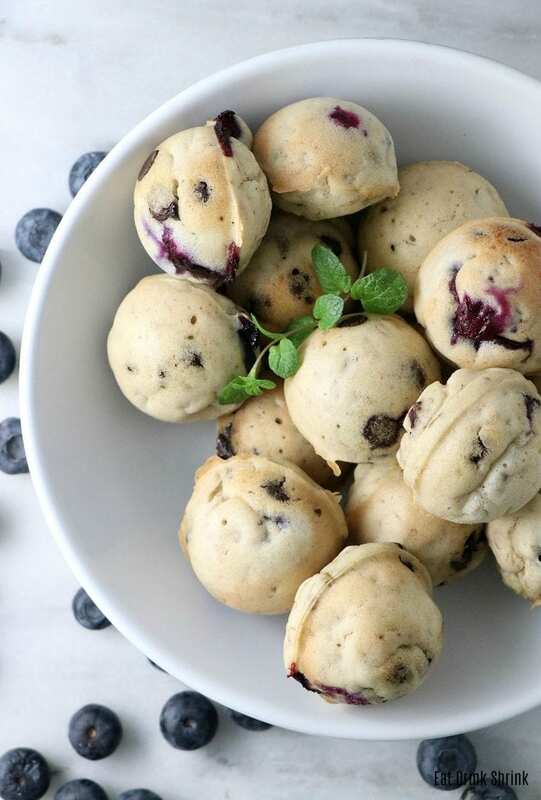 If you’re looking for a modern pancake this 2018, you have to try my recipe for vegan Dark Chocolate Blueberry Pancake Bites! 1/2 cup almond milk combined with 1 tsp vinegar. Combine vinegar and almond milk and set aside to allow it to curdle to create a vegan "buttermilk"
Whisk together flour, baking powder and coconut sugar. 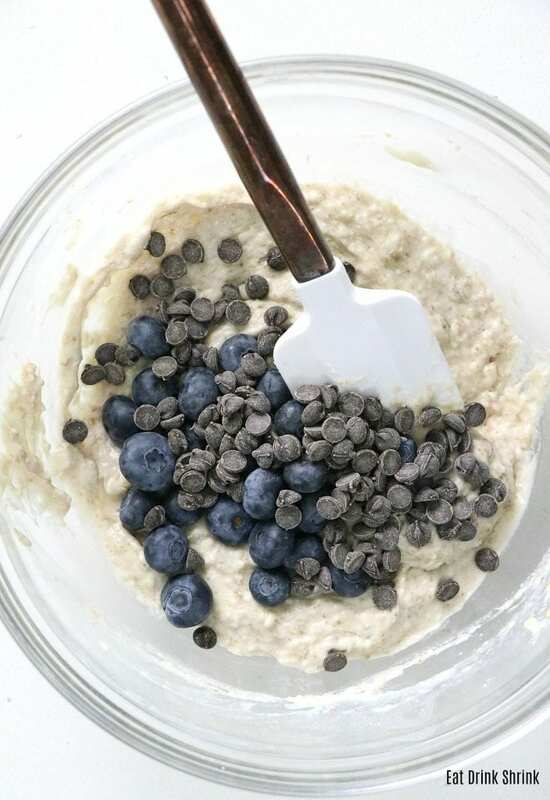 Add wet ingredients to dry ingredients and fold in the blueberries and dark chocolate chips. Fill each hole close to full to achieve the round ball look.